Students, faculty and volunteer community members develop the content for every permanent exhibit in the UC Davis Arboretum and Public Garden using an in-depth interpretive signage creation process. 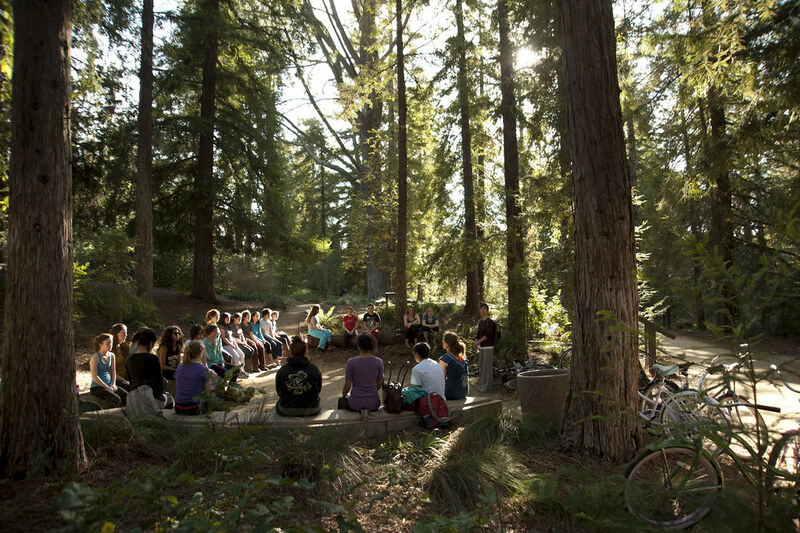 The T. Elliot Weier Redwood Grove is one of the largest collections of coast redwood trees outside their native range, along with understory plants from the redwood forest. The tall trees create a shady, silent, cathedral-like atmosphere just a few minutes’ walk from central campus. The grove is named for Dr. T. Elliot Weier, a professor of botany at UC Davis who helped establish the Arboretum in 1936. Redwoods are long-living, attractive trees with few diseases. They also provide shade for cool summer refuge. 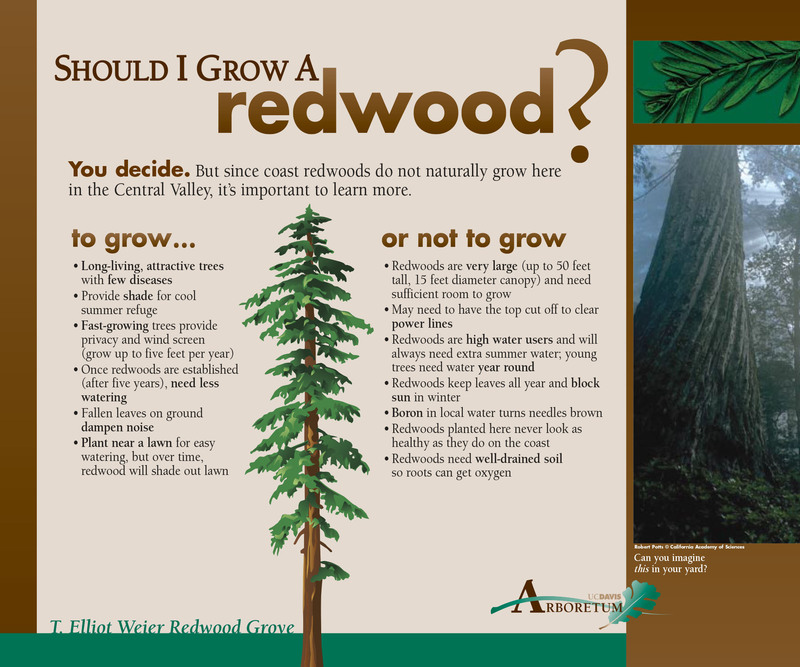 Coast redwoods can grow over 350 feet tall. The tallest trees are taller than the Statue of Liberty and the nation's capitol building. Redwoods can live longer than 2,000 years. The trees in this redwood grove are approximately 65 years old. The only place in the world that coast redwood trees grow naturally is along the coast of California and southern Oregon. for or a complete list of featured destinations.